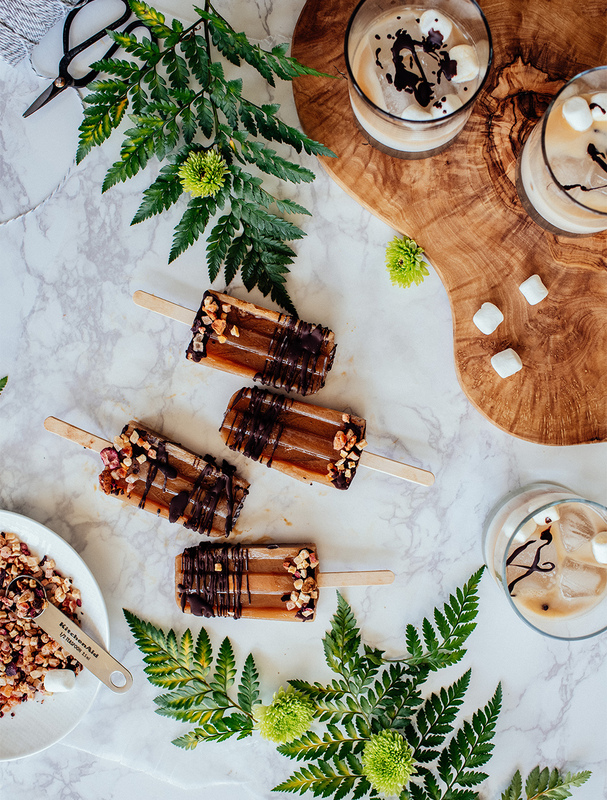 I can’t recall the first time I had a popsicle, but what I do remember is that it was my favorite dessert my mother would make for me when I was a kid. We lived in Africa, and she had this colorful plastic popsicle mold from Belgium that she would fill with my favorite fruit juices. We would sit on the porch or my swing and indulge in the frozen treat when the temperatures would reach around 35-45 degrees. 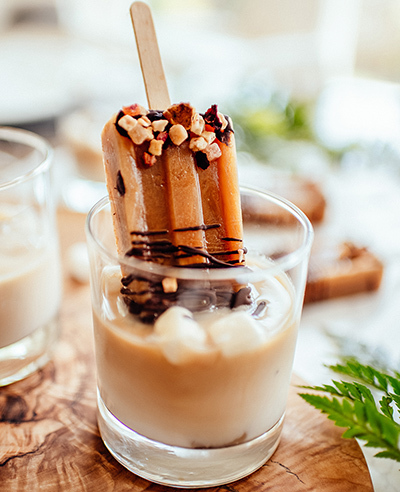 Fast forward a few decades later and I still love popsicles, except instead of snacking on frozen fruit juices in the blistering summer heat I swapped them for a more caffeinated version using Nespresso’s Limited Edition capsules- LEGGERO on ICE. Using the Nespresso machine, make 5 cups of coffee with the Leggero on Ice Capsules. In a bowl, mix the coffee with 2 cups of milk. In the same bowl, add the cinnamon, nutmeg and granulated sugar. Such a fun idea- and the photography around this is SO beautiful! your photos here are gorgeous dear, nicely done! 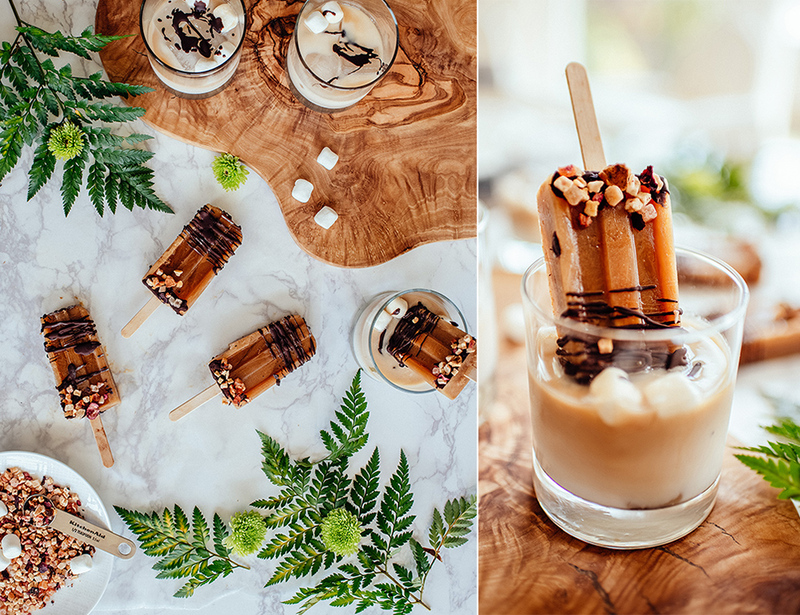 These Nespresso popsicles look amazing! This is such a unique dessert! Thanks for sharing! These look so good and so simple! I have to try them!